Its been a whole month since I posted anything (sorry Steve). 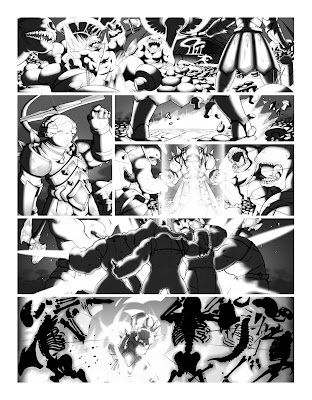 Its a comic page I put together for White wolf. I got to get some of my sketches up on the blog too. I been drawing, I just haven't been staying with the posting the way I used too. I need to color something, its just WAAAYY to Black & White in here.